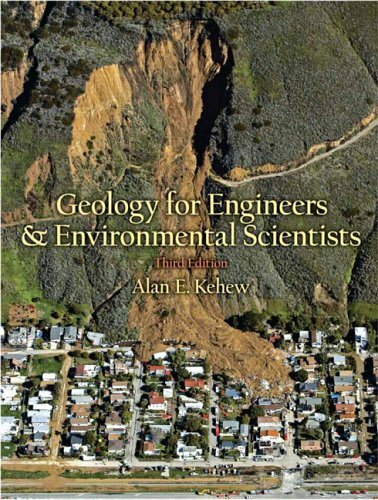 Provides readers with an introduction to geology with a focus on real-world applications.Case histories in nearly every chapter help emphasize the relationship between geology and engineering. Has a solid background in the basics of geology including mineralogy, igneous, sedimentary, and metamorphic rocks, structural geology and plate tectonics, weathering and erosion, rivers, coastlines, and glaciers. New material covers geologic resources, geologic hazards, and environmental challenges in the current century. 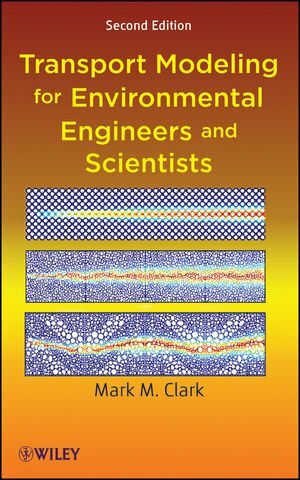 A new overview covers the implications of population growth, the use and depletion of energy and water resources, the employment opportunities for geologists, potential effects of climate change.A useful reference for anyone in the fields of civil engineering or environmental/earth science. Written and edited by a team of specialists at Max Fordham LLP, one of the UKs leading environmental and building services engineering consultancies, Environmental Design is the result of their extensive experience in designing environmentally-friendly buildings. The principles of their approach, which they have taught in numerous schools of architecture and engineering, are clearly presented here. 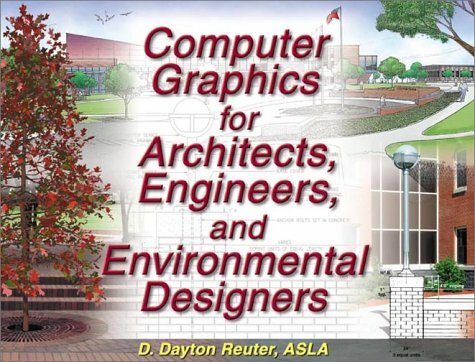 This book is essential reading for architects, engineers, planners and students of these disciplines. The growth of the environmental sciences has greatly expanded the scope of biological disciplines today's engineers have to deal with. Yet, despite its fundamental importance, the full breadth of biology has been given short shrift in most environmental engineering and science courses. Filling this gap in the professional literature, Environmental Biology for Engineers and Scientists introduces students of chemistry, physics, geology, and environmental engineering to a broad range of biological concepts they may not otherwise be exposed to in their training. Based on a graduate-level course designed to teach engineers to be literate in biological concepts and terminology, the text covers a wide range of biology without making it tedious for non-biology majors. 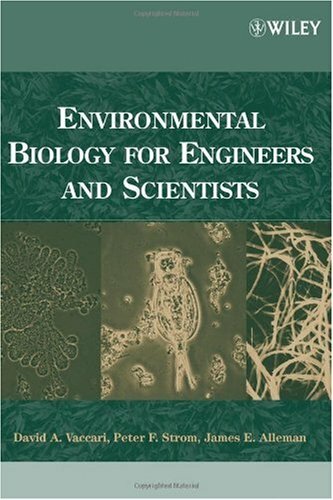 As an environmental engineer, I use this book as my one stop reference for anything Biology. As I said, its very comprehensive and useful. The chapters actually start off by introducing the user to the subject and gradually go into detail. Highly recommended whether you are new to Biology or you want to refresh your memory on college Biology classes. If you are a professional like me, it will be useful as a reference. 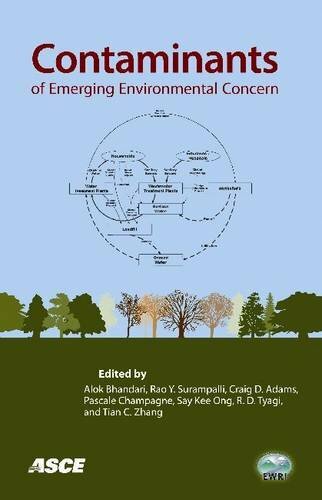 - The scope of the book is amazingly comprehensive, and surpasses every other book I've seen dealing with environmental biology.The book is nearly 1000 pages, and the authors have made full use of those pages. - The book is packed with details.The authors clearly did a huge amount of work in writing the book, and the result is a book which is fully adequate for the needs of professionals. - Along with the vast array of details, the book also teaches the basics, so the prerequisites for the book are minimal. - The book is clearly written and clearly organized. - The price of about $100 is a bargain for a book of this caliber.Get your copy before it goes out of print! This is one of just a few books I'll be keeping on my closest bookshelf as an authoritative and comprehensive reference on an important topic. 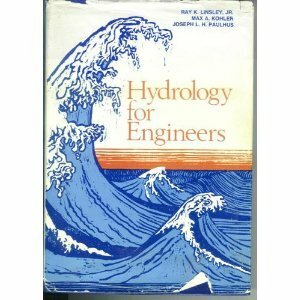 This book is an essential read for civil/water/hydraulic/waterresources/environmental engineers who need a bit more hydrology necessaryfor understanding the hydrology applied in their disciplines. The bookdefines hydrology and proceeds to indicate the essential difference betweenapplied hydrology and just scientific hydrology. 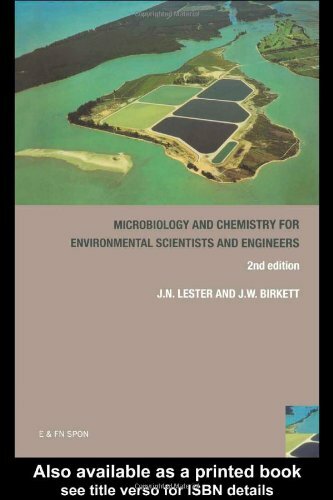 Beginning with thetraditional presentation of the hydrologic cycle, all the components of thecycle are dealt with in more detail in the subsequent chapters of the bookto indicate the applications involving each and appropriate examplesgiven. 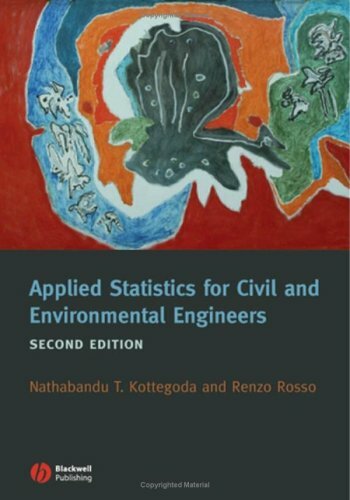 Non-verbose explanations with adequate real examples are used inpresentations of meteorology/solar radiation, rainfall/snowmelt,evaporation, infiltration, streamflow and hydrographs/unit hydrographs,groundwater occurrence and hydraulics, probability distributions/extremevalue analysis/design floods/storms, river morhology, sedimentation,computer modelling, flood routing by hydrologic and hydraulic methods, andintroduction to applications. These are by no means all the main contents -but just indicative of the variety of included essential topics. 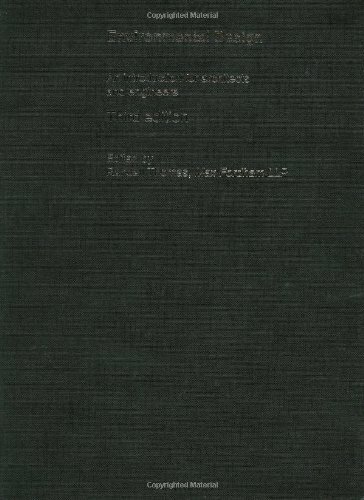 BEWARE: The Kindle download is ONLY the three page insert of the CD packaging from the CD version of the book--the cover of the CD and installation instructions.I don't know why anyone would ever want to purchase this. 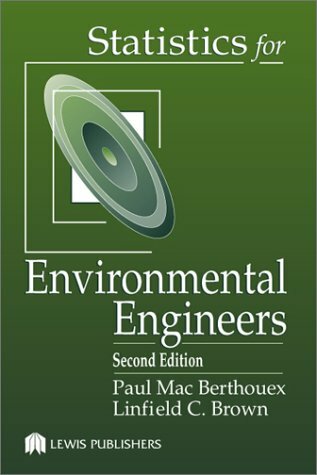 IT IS NOT A KINDLE VERSION OF THE ENVIRONMENTAL ENGINEERS HANDBOOK. Amazon has conviced me to NEVER use my Kindle for professional texts.I am profoundly disappointed with Amazon for this amateur performance. This is a good book on Air Quality. It is very infomative. I bought an older version and just needed to read some updated info. If There Is One Book You'll Ever Need, This Is It! 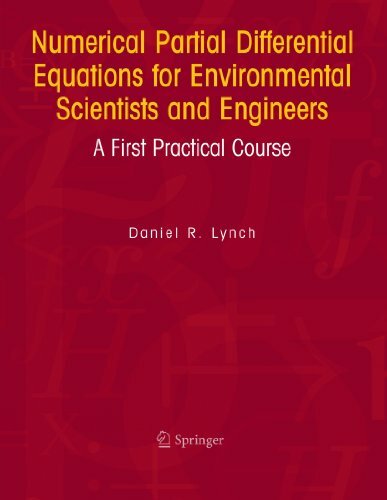 I own several environmental engineer textbooks, many of which focuses on either environmental planning, engineering systems, case histories & legislations, water treatment, energy, or current trends. Few books like this 1400+ page monster of a handbook focuses on all aspects of this important field. 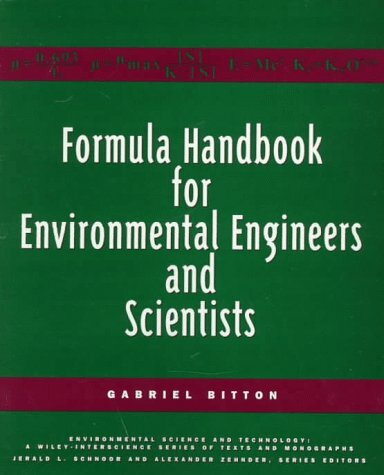 In its preface it explains why having all aspects in one bounded body is vital to the engineer student; simply the field of environemental engineering utilizes knowledge and information from other-scientific, legal, and social-science fields to solve many problems that are encountered daily whiles working to create better systems, laws and solutions. This book has everything that you will need to know to work in the field. It promotes tried and true theories used by scientists before as well as sets up the beginner students with the challenges of creating new theories and working ideas to solve current and projected problems that face us today. 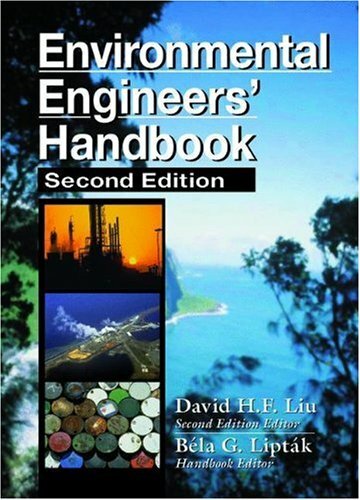 I've bought several books in the field and learned from various sources, and this handbook is one that most of us will have to use in our final years at engineering school, and it is by far the best one ive studied from. If your school doesn't require it, I would still reccommend it for reference material. Although the book is pricey, you definately get what you pay for in quantity and quality. All the information is well organized and laid out so you will never get lost or confused as you read thru. And the autor sets up the book so that it can be easily accessed in sections (for reference) or carefully read thru in page order. A must for anyone in the field!!! 11. How to Land a Top-Paying Environmental Engineer and Mining Industry Job: Your Complete Guide to Opportunities, Resumes and Cover Letters, Interviews, Salaries, ... What to Expect From Recruiters and More! 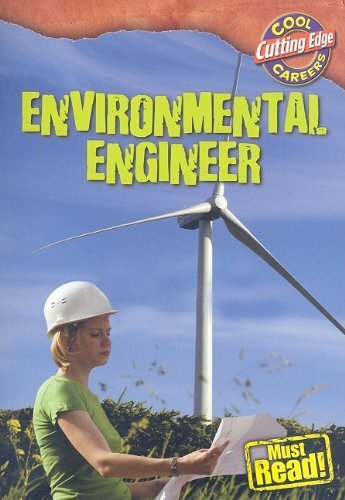 For the first time, a book exists that compiles all the information candidates need to apply for their first Environmental Engineer and Mining Industry job, or to apply for a better job. This book successfully challenges conventional job search wisdom and doesn't load you with useful but obvious suggestions ("don't forget to wear a nice suit to your interview," for example). Instead, it deliberately challenges conventional job search wisdom, and in so doing, offers radical but inspired suggestions for success. Think that "companies approach hiring with common sense, logic, and good business acumen and consistency?" Think that "the most qualified candidate gets the job?" Think again! Time and again it is proven that finding a job is a highly subjective business filled with innumerable variables. The triumphant jobseeker is the one who not only recognizes these inconsistencies and but also uses them to his advantage. Not sure how to do this? 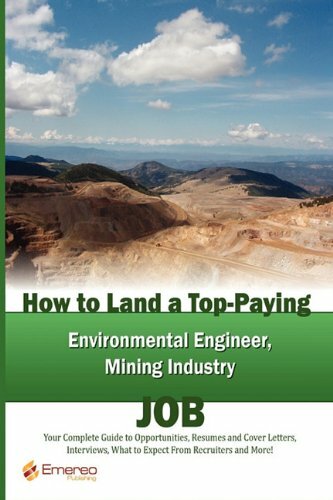 Don't worry-How to Land a Top-Paying Environmental Engineer and Mining Industry Job guides the way. 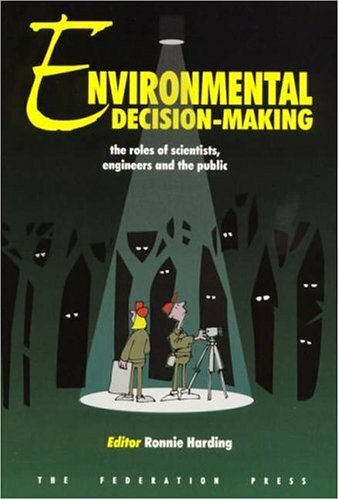 Highly recommended to any harried Environmental Engineer and Mining Industry jobseeker, whether you want to work for the government or a company. You'll plan on using it again in your efforts to move up in the world for an even better position down the road. While engineers and surveyors are not urban planners, they are often engaged in urban development. Therefore, a high degree of competence in civil engineering specialties such as surveying and mapping, highway and transportation engineering, water resources engineering, environmental engineering, and, particularly, municipal engineering requires an understanding of urban development problems and urban planning objectives, principles, and practices. 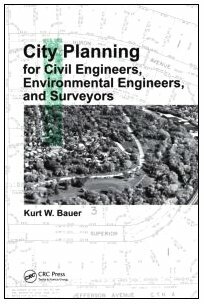 With this in mind, City Planning for Civil Engineers, Environmental Engineers, and Surveyors focuses on areas of urban planning with which civil and environmental engineers and surveyors are most likely to come into contact or conflict, in which engineers and surveyors may be required to participate, and for which engineers may be required to provide necessary leadership. The text stresses basic concepts and principles of practice involved in urban planning as most widely practiced, particularly in small- and medium-sized communities. It introduces engineering students to land use planning as a foundation for infrastructure systems planning and development. It also presents plan implementation devices such as zoning, land subdivision control, official mapping, and capital improvement programming. It describes the factors affecting good land subdivision design and improvement. In addition, the text illustrates the importance of good mapping and control surveys for planning purposes. Written from the perspective that cities are social and economic as well as physical entities, the book offers a historical context for urban planning. There are a large number of texts on the subject of urban planning, but most generally do not address in any comprehensive way the engineering problems encountered in urban planning. 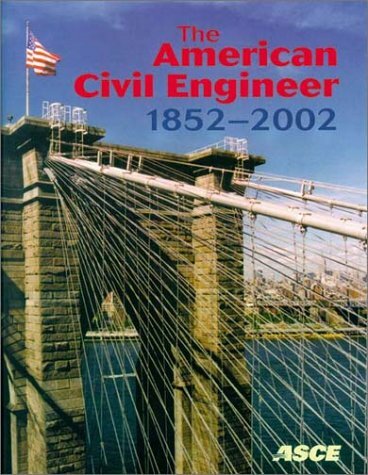 This book delineates these problems and stresses the importance of close cooperation between civil engineers and planning professionals to achieving effective urban planning. Armed with this information, students can become more knowledgeable participants in the urban planning process and more effective members of urban planning teams and governmental and consulting agency staff.